The French and Indian War (1754-1763) was the North American theater of the world-wide 7 Years War. While this period is before the establishment of the United States of America, it was fought on land and by people that would become part of the United States and so is included here. 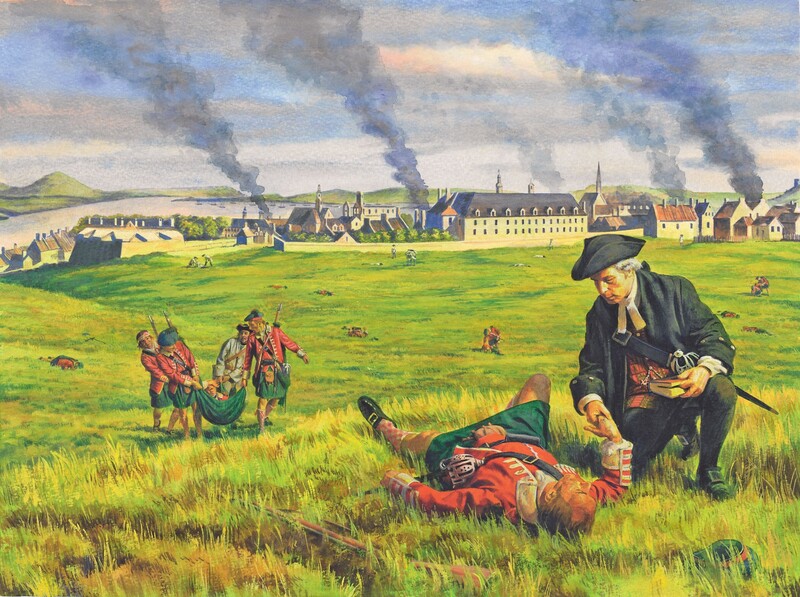 Presbyterian chaplain, Robert Macpherson, comforting a dying highlander after the battle of the Plains of Abraham, near Quebec, 13 Sepember 1759. Macpherson was know as Caipal Mhor (the Big Chaplain in Scottish Gaelic) by the Soldiers of the 78th Foot.